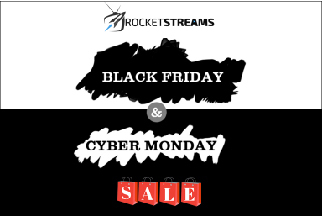 Welcome to our 3nd annual Black Friday & Cyber Monday 2018 IPTV sale information post. Our sale will begin at 12:00AM EST November 22th and end on November 27th 12:00AM EST. This means 5 days of savings for your family/friends. Spread the word. Share the news! If you have any further inquires, feel free to contact us. We will assist you within 24 hours through our support ticketing system. If by chance you didn’t receive your account information please review our account recovery faq for more information.